Greetings and welcome to Nomadics Tipi Makers. Thank you for visiting us. 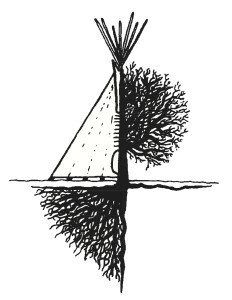 We have been making tipis since 1970. View some of the over 30,000 Nomadics tipis in our Photo Gallery. We actively support the Native American people at Standing Rock. Follow us on Facebook. All our fabrics are made with non GMO, 100% certified organic cotton, then finished with a Sunforger® treatment for longevity. 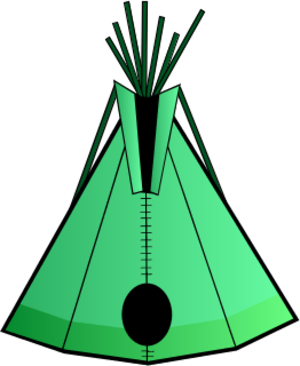 Review our traditional style teepee artwork and use our fun, interactive system to design your own tipi. 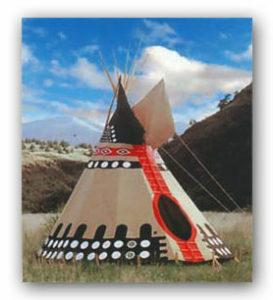 Tipi sizes range from 8ft – 26ft. Use our Price Estimator or view our Pricelist. All of our tipis are handcrafted by a small group of artisans in Bend, Oregon. 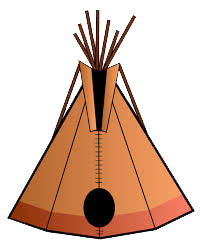 We guarantee our craftsmanship for the life of your tipi. 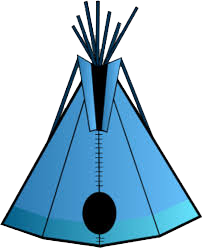 See “Care of Your Tipi”, for maintenance tips. We also ship internationally: Tipi Worldwide, Tipis Down Under, Indianerzelte nach Deutschland. See also: Tipis for Campgrounds, Accessories, Poles, Kids Tipis , and Set-up Instructions and Video. 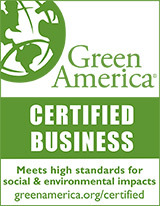 We care: Nomadics is certified by Green America, for each pole we sell we plant one tree (17-20 poles in a set), we recycle our excess material and we use only 100% organic cotton for our tipi fabric. Since our tipis (teepees, tepees) are as authentic as possible in our contemporary world, they bring to the 21st century a “living artifact.” They make it possible to experience what a nomadic culture experienced hundreds of years ago. Our tipis (teepees, tepees) are authentic Sioux-style to which we have added reinforcing and design variations that are the results of our own tipi living experiences in snow, below-zero temperatures, coastal rain forests and hurricane force winds. Our teepee making is self-styled and integrates our love of the wilderness with rural life and the demands of teepee making. Our workshop is hidden in the quiet seclusion of the forest at the base of the Three Sisters Wilderness area and our tipis are sewn by local residents in their own homes. While we sell our tipis to individuals daily, we also work with the movie industry, music festivals, eco-resorts, campgrounds, retreat centers and B&B’s. As an example, we made all the leather tipis for Kevin Costner’s movie “Dances With Wolves” and Tom Cruise’s “The Last Samurai.” See our section “Camps & Retreats” for places to stay in a Nomadics tipi. Please feel free to call or fax us at 541-389-3980 if you have any questions or would like to place an order. We will always take the time to help you in whatever way we can. Our office hours are Mon – Fri, 9 am – 4 pm Pacific Coast Time.